and EBI Electric for Final Scanning, Grading and Defecting. 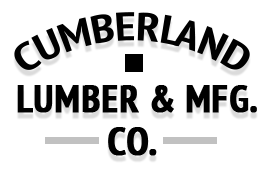 Cumberland Lumber and Manufacturing Company have made a significant commitment to a major upgrade to its solid wood flooring mill in McMinnville TN. Collaboration by Cumberland’s team, Hasko and Hasko’s scanning partner EBI Electric has resulted in a multi-phase project that will significantly benefit the Tennessee flooring mill. Phase One will be installed in July of this year and will consist of the installation of an EBI Scanner, Board Print System and a new Hasko MPEM/C End Matcher. The turnkey system includes all of the material handling equipment required for the line modifications. The Hasko End Matcher will replace a competitor’s machine. The EBI Inspector, Optimization Scanner will be installed inline and downstream from Cumberland’s Hasko FSM Sidematcher. The EBI Scanning will facilitate finish side scanning solutions, for final defecting, grading and grade optimization. The printer will display cut lines for final defecting and grade marks for each individual piece of flooring. Manual chop saw operators will saw on printed cut lines until automatic chop saws are installed later this year. The Phase Two installation will include Two Hasko HSSC High Speed Automatic Chop Saws and all of the material handling system that is required to route product from the scanning/printing system through the Hasko saws and to the new Hasko Endmatcher. Cumberland continues to lead in technological innovation, as they may be the first firm in the North American Flooring industry to utilize two scanners. (Scanning and chopping before and after the side matcher). Cumberland installed a Hasko/Haskan Scan/Chop system for gross defecting before the Hasko Side Matcher in April of 2016. Benefits will include a significant grade and yield improvement and labor reduction at Cumberland’s two shift operation.